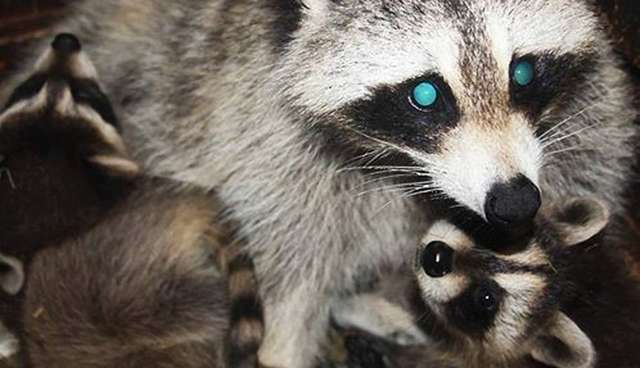 When a pregnant raccoon was brought to a New York City veterinarian four years ago, the outlook couldn't have been more dim. The raccoon was blind. She had been poisoned. Her babies were born at that clinic. They drank their mother's milk and soon died from the poison that ran through it. The mother survived and was transported to a wildlife rehabilitator, where she would gradually regain her strength. But never her vision. 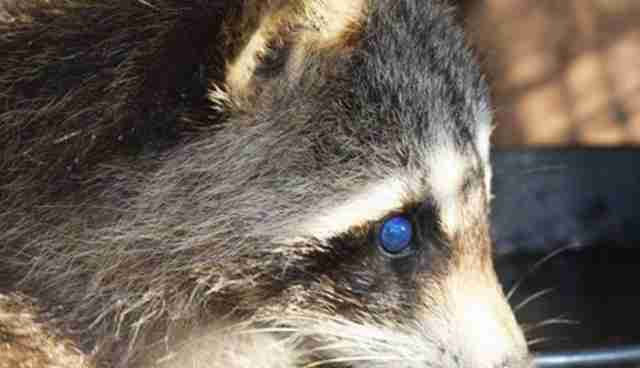 The wildlife rehabilitator who cared for the raccoon decided to keep her - and named her Cloud. She just didn't have the heart to release a blind raccoon back into the wild. "I knew she wouldn't make it," she tells The Dodo. But the woman, who doesn't wish to be identified for this story, took a great risk in keeping Cloud. She could have lost her license. 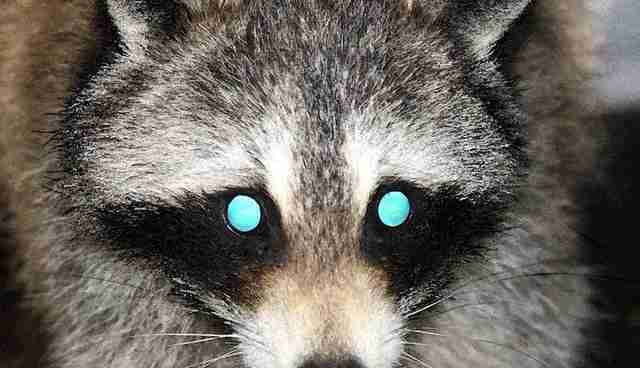 "The state is very adamant that there is no educational racoon in the state of New York," she says. "You cannot keep them beyond May 31 of their second year. You have to release everybody by May 31." Cloud wasted no time in paying her caretaker's good will forward. "The first year I had her, she lost her babies," the woman says. "She was much bereaved by having lost her children, I'm sure. 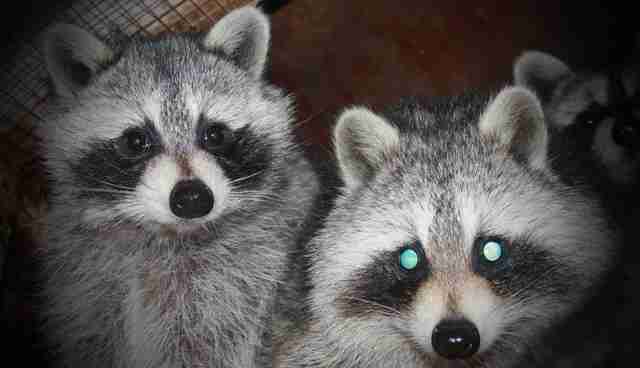 When she found out I had baby raccoons, she would coddle them." 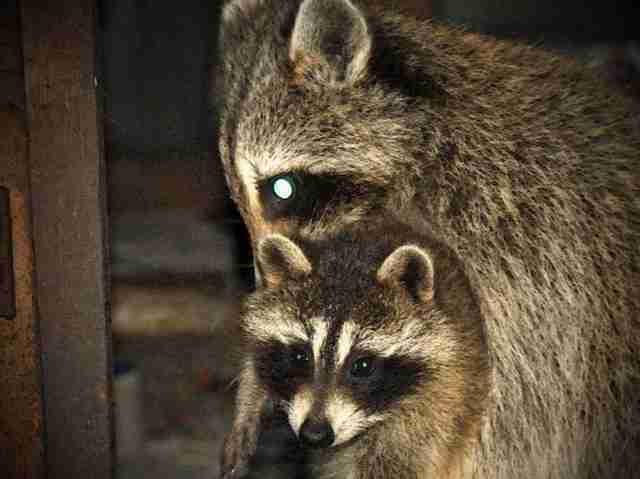 Every spring for the next four years, a fresh litter of orphaned raccoons would arrive at the rehabilitation facilities - their mothers having been poisoned, shot, starved or trapped - and they would find a mother in Cloud. "She would absolutely just adore them like they were her own children," the woman says. 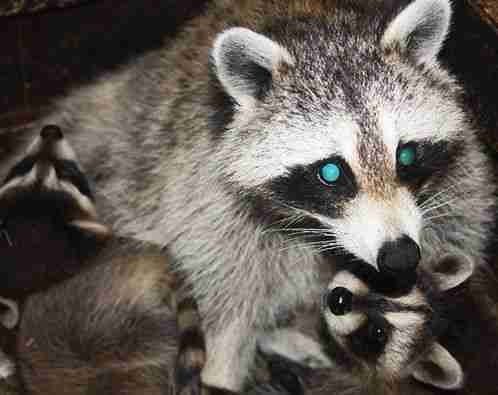 "She also taught them the social graces every raccoon must learn. She's a heck of a mother." And one spring, Cloud surprised her caregiver by giving birth to her own litter. "She was devoted and as loving as any creature could be," she says. "I found it fascinating any species could display such love and protection towards her thriving kits." The following spring, the woman released Cloud's babies into the wild. And soon after that, Cloud showed every indication that she was ready to follow them. Last July, Cloud was returned to the wild. "I missed her greatly," the woman says. "But even if she did pass during the winter or died from some unforeseen tragedy, at least she did experience what any being has the right to enjoy - freedom."